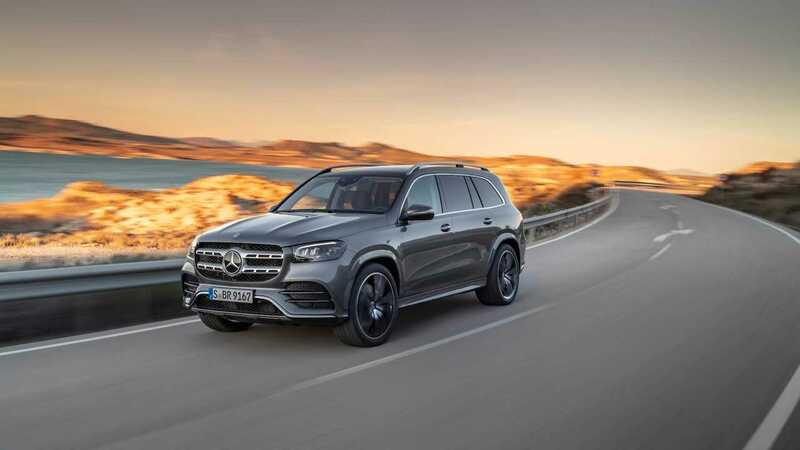 The three-row posh crossover wars are real – but the new 2020 Mercedes-Benz GLS is battle ready. The fully revamped, third-gen, three-row not only looks better, but with two new engines, tons of tech, and a Manhattan-sized apartment's worth of space inside, it's much improved all-around from its predecessor. It's making its debut at the 2019 New York Auto Show. 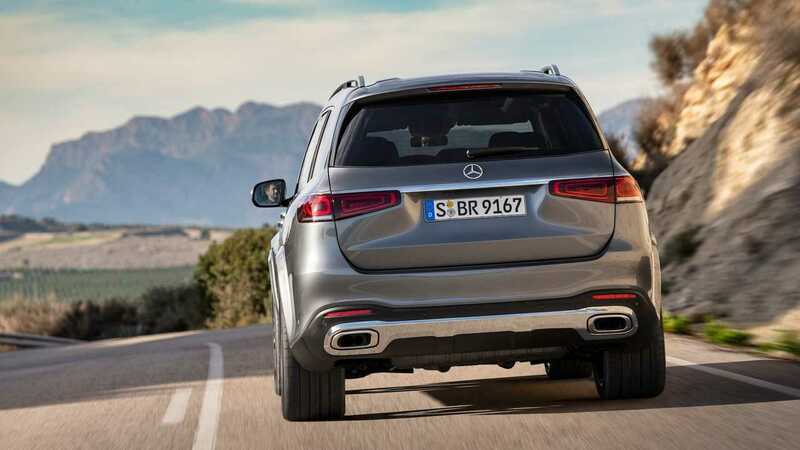 Like the smaller GLE, the GLS gets E-Active Body Control as an option. 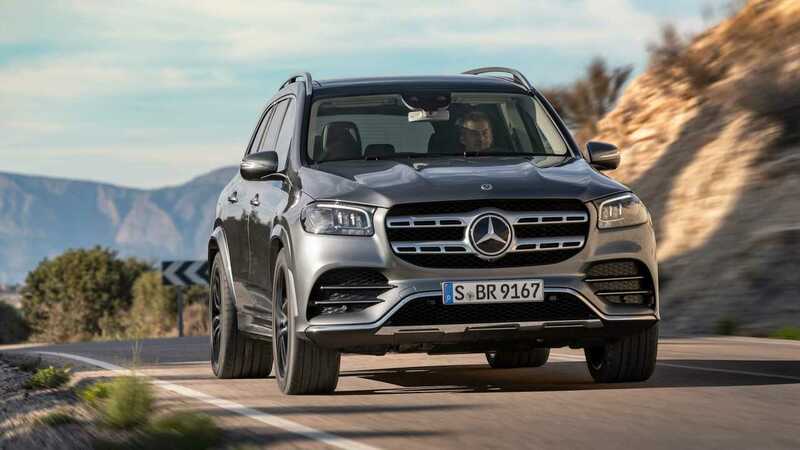 The 48-volt, battery-aided, hydropneumatic suspension gives the three-row crossover the ability to scan roads and pre-determine damping, as well as "jump" itself out of tough off-road situations like sand, mud, and rock, as seen here in this GLE video. The new GLS is longer by up to three inches over the previous model. For 2020, the 450 stretches out to 205.0 inches, while the 580 extends to 205.2 inches. Both trims a wheelbase of 123.4 inches and a width of 84.9 inches. All that extra space means room for up to seven, with the option of a six-seat layout when equipped with the second-row captain's chairs, and a massive panoramic roof with a 50-percent larger viewing area. At the disposal of the driver is Mercedes's new MBUX infotainment system with a 12.3-inch digital instrument cluster and a 12.3-inch central touchscreen with navigation, all standard. Other standard features include a Burmester surround sound system, inductive wireless charging, 64-color ambient lighting, nine USB ports, and Apple Carplay and Android Auto connectivity, naturally. If you want heated and cooled cupholders, a head-up display, or the "Energizing Comfort" massage function, that'll cost extra. Safety also stands out, with standard equipment like automatic emergency braking, active parking assist with a bird's eye view camera, and even car-to-car communication. 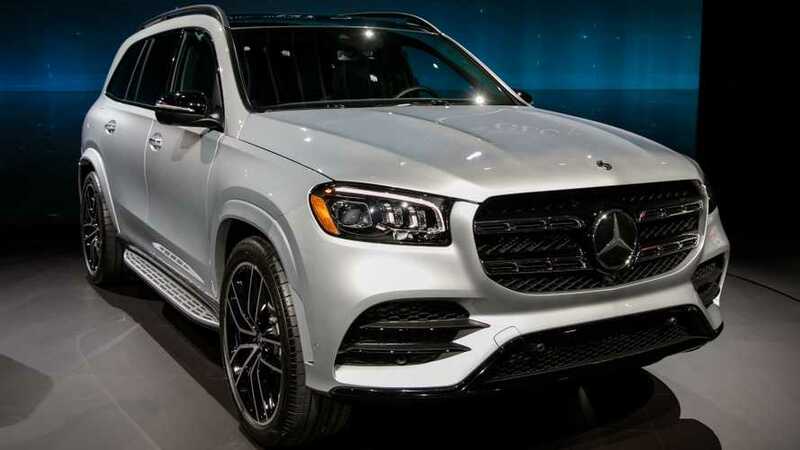 The highly advanced Driver Assistance package with radar cruise stop-and-go technology, steering assist, speed limit assist, evasive steering, and tons of other features, is an option, as is augment video for navigation.